Audemars Piguet: History, Models and Prices. New & Vintage. Discover the world of Audemars Piguet watches online. 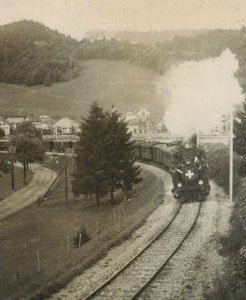 In 1875, Jules-Louis Audemars and Edward-Auguste Piguet laid down the foundation for one of the chief players in the Swiss watchmaking industry today. To date, the company remains an independent and is lead by its founding families. Celebrities such as Arnold Schwarzenegger and Michael Schumacher are the long-standing clientele of the Audemars Piguet. In 1972, Audemars Piguet presented the Royal Oak. It was the first steel sports watch of Haute Horlogerie. Founded in 1875 by Jules-Louis Audemars and Edward-Auguste Piguet, the company remains a family business today that has not been sold at any point in history. Both founders originated from traditional watchmaker families who had established headquarters in Le Brassus in the Swiss Vallee de Joux. The technical productions of the luxury timepieces were left to Jules-Louis Audemars while Edward-Auguste Piguet was in charge of the business aspects of the company. Initially, Audemars Piguet produced pocket watches equipped with complications. In 1882, the company had already produced a chronograph pocket watch equipped with a perpetual minute repeater. In 1889, the company further impressed with an Audemars Piguet Grande Complication – a particularly complex pocket watch that won a medal at the World Exhibition in Paris. In 1891, a time period in which wristwatches had not yet dawned upon the world; Audemars Piguet created the first wristwatch with a minute repeater. Talent and passion paid off as watches from Audemars Piguet gained worldwide fame and popularity as the company opened branches in Berlin, London, Paris, New York and Buenos Aires. Following the death of the two founders, the heirs of the company took over the business and continued developing and manufacturing high-quality watches. Neither the Great Depression nor the Second World War held back the success of Audemars Piguet. Interestingly, during these hard times, there was a high demand for these high-quality wristwatches in the United States of America. The Royal Oak is certainly the most famous of Audemars Piguet watch models. Thanks to the Royal Oak, the company has continued to persist in its exquisite glory. The 1970s were a difficult time for the Swiss watchmaking industry: quartz rapidly gained popularity and traditional producers urgently searched for innovative ideas to present to the market. Audemars Piguet took the opportunity to once again display its pioneering spirit. The Royal Oak was launched in 1972 – a time in which watch manufacturers had no sports watches among their collections and steel casing were absolute taboo. 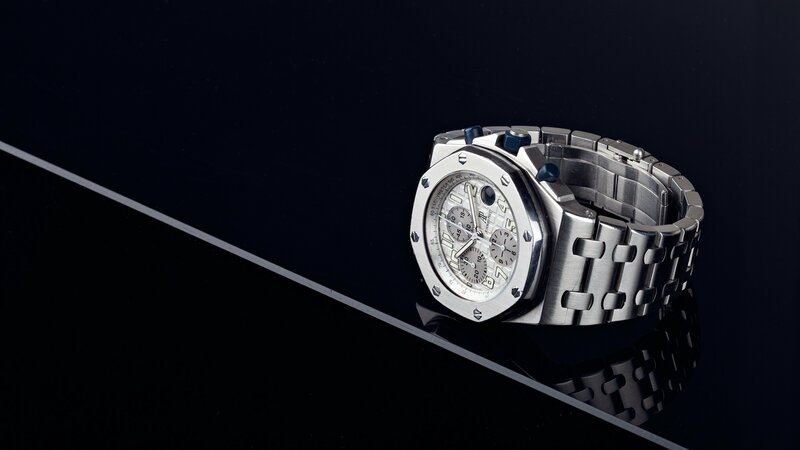 Audemars Piguet broke the unspoken rules with the launch of a luxury watch in a sporty design – not to mention that it came equipped with a striking steel case. The risk of failure was great, but Audemars Piguet nonetheless took the plunge. The courage of the company paid off as the Royal Oak began a new chapter for Audemars Piguet. Furthermore, the Royal Oak set a new benchmark for the entire watchmaking industry. Swiss-born Gérald Genta determined that the watch market was ready for a new bold style and designed the timepiece that came to be known as the Royal Oak. The Royal Oak enjoys great popularity today. The younger relative of the model – the Royal Oak Offshore – bears a higher level of sporty appeal. Enthusiasts of sophisticated watch mechanics are familiar with the exquisite timepieces and the hefty price tags that come along with them – Royal Oak models tend to exceed the 200,000 Euro mark. Audemars Piguet is one of the few independent manufacturers in Switzerland who is praised with worldwide adoration. Whether in Singapore, London, or Berlin – an Audemars Piguet Royal Oak is recognised and esteemed around the globe. In addition to the Royal Oak flagship model, Audemars Piguet creates many esteemed collections. The Jules line offers a classic design whereas the Millenary series is characterised by a striking shape and skeletonized form. Furthermore, the movements that are fitted in the Millenary Line are organised in a distinctive way since they can clearly be viewed through skeletonised casings. Another unique model, which can now only be discovered on the second-hand market, is the Edward Piguet – an elegant rectangular case is the hallmark of this line. The horological perfection of Audemars Piguet is second to none, as the brand has long been established in the forefront of watchmaking. Watch collectors, enthusiasts, and numerous celebrities who have fallen for the charm of the bold character watches avidly follow Audemars Piguet. Arnold Schwarzenegger sports a specially designed and limited edition Audemars Piguet Royal Oak Offshore in two of his films – “End of Days” and “Terminator 3”. Furthermore, Formula 1 legend Michael Schumacher owns a limited edition Royal Oak Offshore that was created in his honour. The Royal Oak Concept Laptimer Michael Schumacher was presented in 2012 and the then seven world championship titles of the legendary driver are presented on the watch in the form of seven stars. Other brand ambassadors include basketball player LeBron James and footballer Leo Messi. The company is also involved in environmental causes and the promotion of sustainable development. The Audemars Piguet Foundation is involved in reforestation causes and projects to raise awareness in children on the subject of environmental protection. Each Audemars Piguet timepiece sold contributes to financing the foundation. Audemars Piguet is a brand that stands for a luxury of the highest quality. Individuals around the world never hesitate in relying on the precise timepieces. Audemars Piguet is not afraid of challenges – a concept that can easily be recognized in each timepiece created by the renowned watch manufacturer.